Deputy Director Patrick Impreveduto was sworn into his first, three-year term on the Monmouth County Board of Chosen Freeholders on Jan. 5, 2018. Deputy Director Impreveduto serves as the liaison to the Monmouth County Health Department, the Office of Emergency Management, the Fire Marshall and Fire Academy, the Superintendent of Schools, Workforce Development, the Mosquito Control Commission, the Construction Board of Appeals and the Belford Ferry. In addition, he is also a member of the Board of School Estimate for both Brookdale Community College and the Monmouth County Vocational Schools. 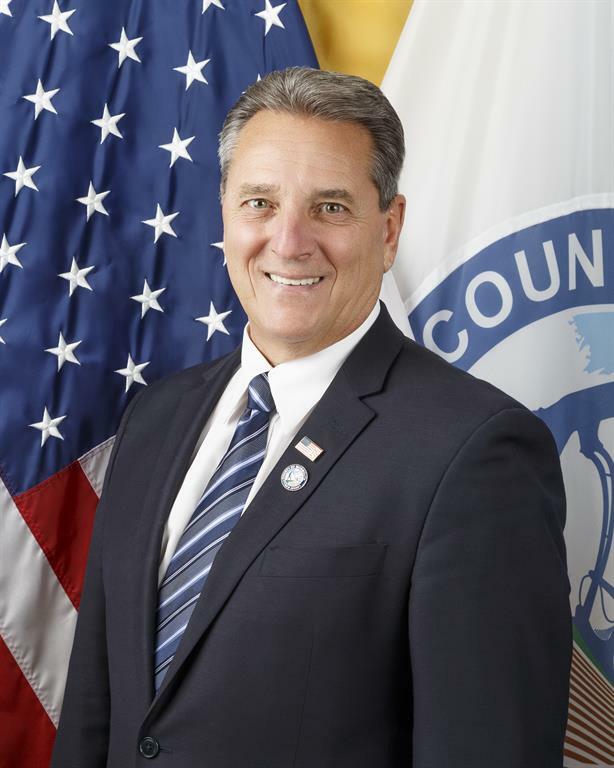 Deputy Director Impreveduto serves as Monmouth County’s voting member on the New Jersey Association of Counties and is a freeholder representative to the Monmouth County Planning Board. Prior to his election, Deputy Director Impreveduto served as Deputy Mayor of Holmdel, where he had also represented the community as mayor and as a member of the Township Committee since 2008. Additionally, he spent six years as a member or the Holmdel Township Board of Education and was chairman of the Planning Board. Deputy Director Impreveduto spent the majority of his professional life as an educator, most notably in the Secaucus Shool District where, in addition to serving as a teacher and a wrestling coach, he also became coordinator of recreation, director of educational media, principal at Secaucus Middle School and principal of Secaucus High School. He retired from the Secaucus School District in 2010. Currently, Deputy Director Impreveduto is an Associate Director for the Middle States Association for Schools and Colleges. Deputy Director Impreveduto earned a B.A. in English and Elementary Education from St. Peter’s College and two Master’s Degrees from Jersey City University, one in Library Media Communications and the other in Administration Supervision. Deputy Director Impreveduto and his wife, Judith, reside in Holmdel and have two children and three grandchildren.